EXCLUSIVE AT NET-A-PORTER.COM. At New York Bridal Fashion Week there was a real focus on minimalist silhouettes and high necklines. 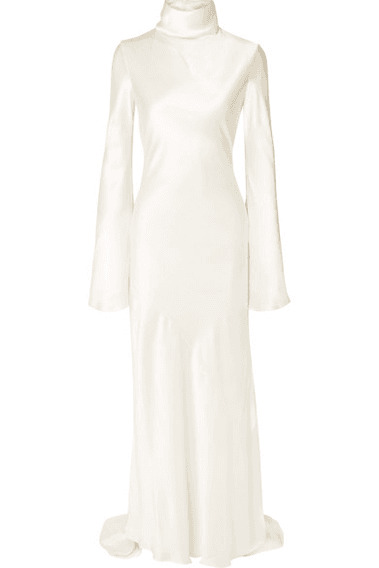 Ellery's turtleneck gown is flatteringly cut on the bias from ivory silk-satin and has Kym's signature flared sleeves. The train is long enough to make an impact in photos but also manageable on the dance floor.